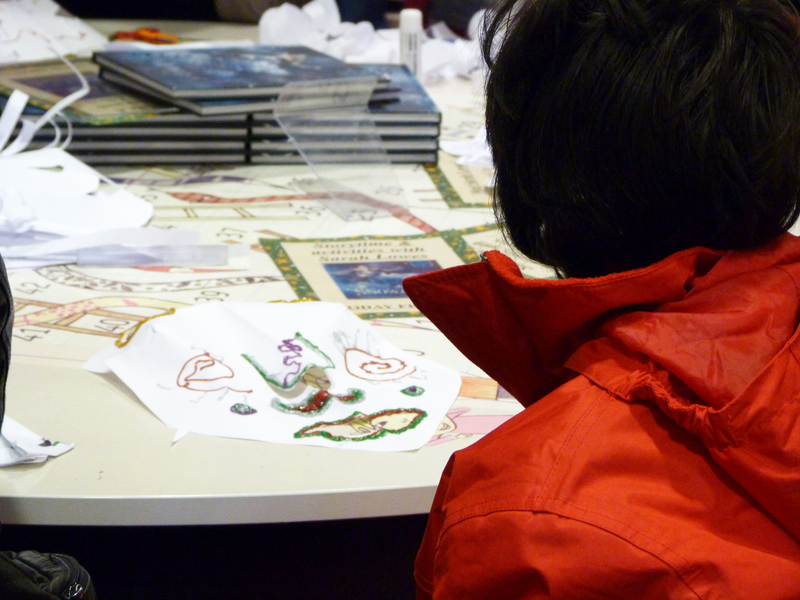 We are in the process of organizing the ENDEAVOUR exhibition to be held in Liverpool Anglican Cathedral from 22nd September to 28th September 2018. 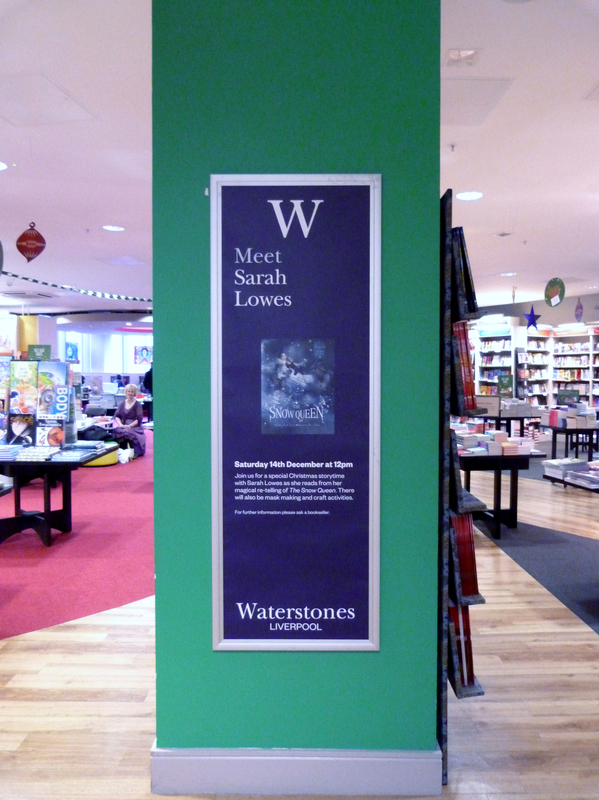 As part of our publicity for the event Sarah was interviewed on Radio Merseyside’s Daybreak Show by Helen Jones. 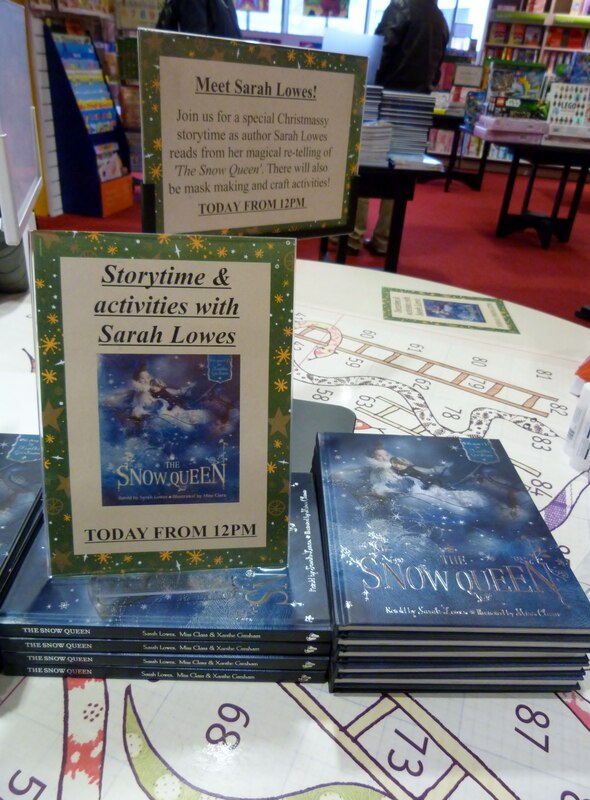 Here is the link to the interview and it begins at 2.17.00 approx. 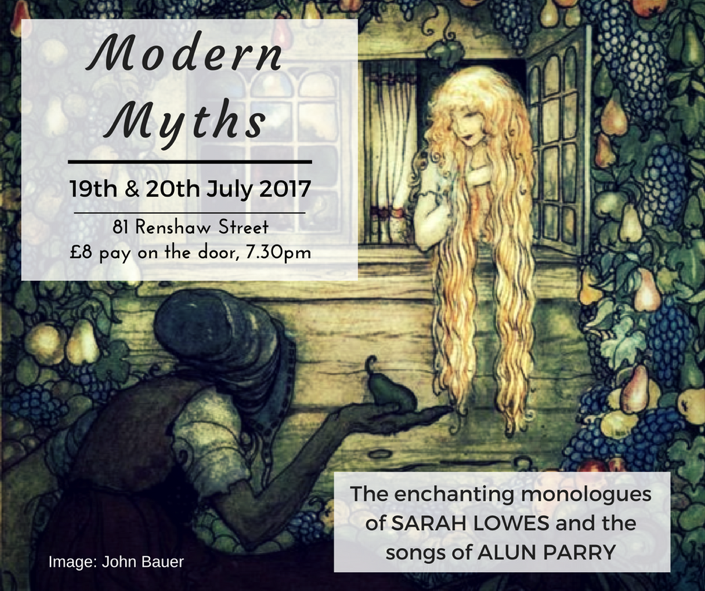 Sarah Lowes has written and starred in a series of four monologues entitled “Modern Myths” The show was very entertaining with four modern monologues based on old traditional fairy tales. If you missed the show, you missed a treat! 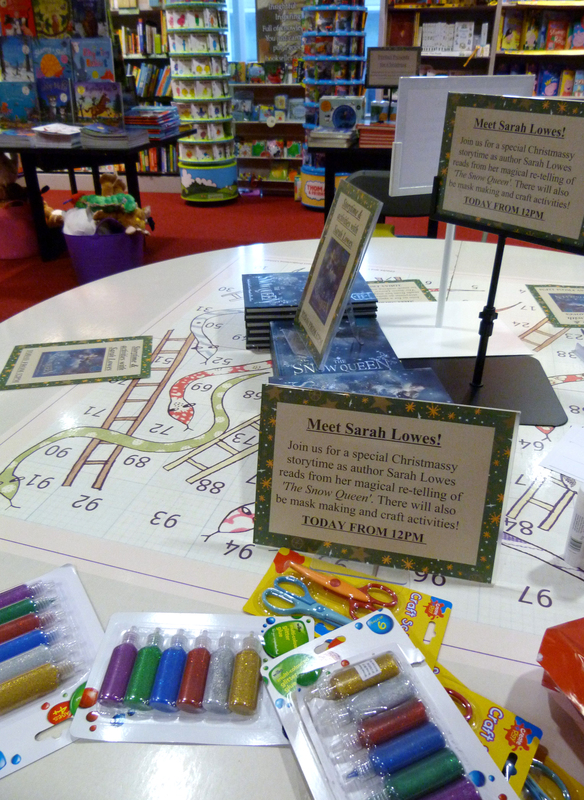 Sarah has decided that she would like to resign from the committee after 12 years continuous service. 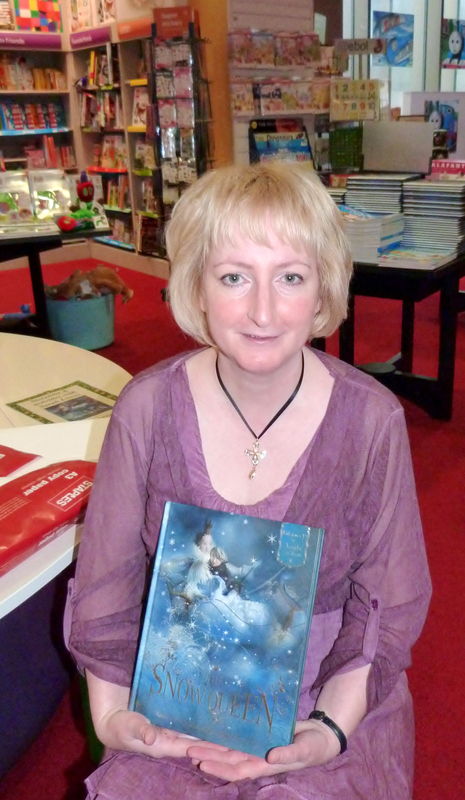 She deserves her well-earned break but will be greatly missed from the committee. Sarah however will continue to be a member of MEG. 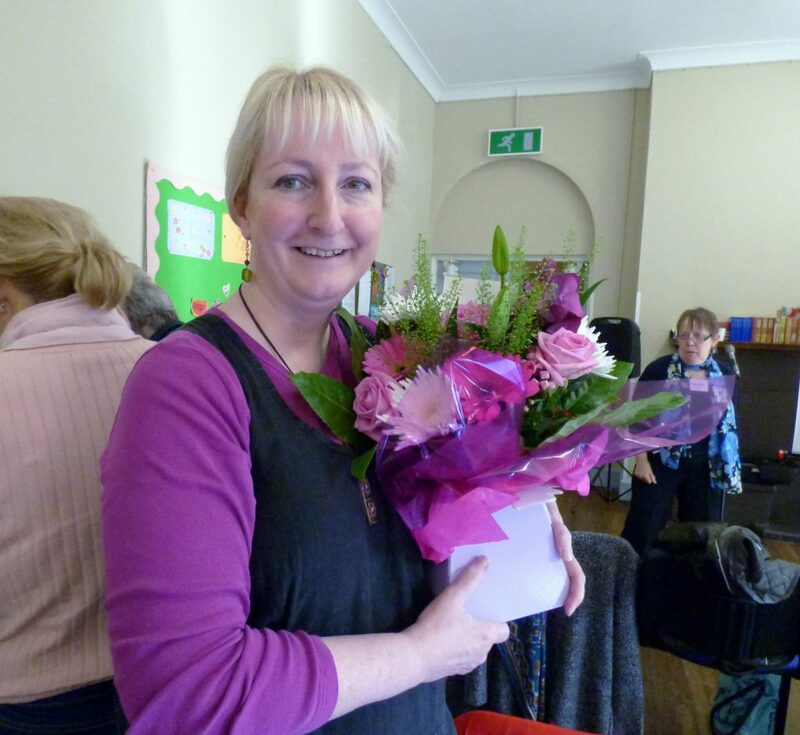 At our recent AGM our Chair Kim Parkman presented Sarah with a beautiful flower arrangement, as a token of our affection. 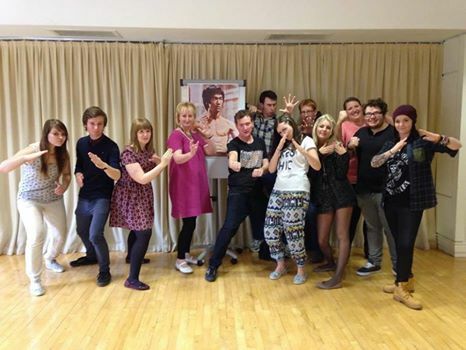 Sarah Lowes has written a play entitled “My Afternoon With Bruce Lee”. 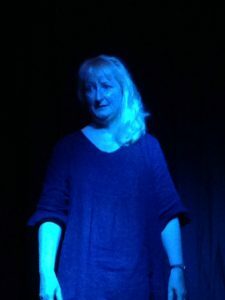 This play was selected from many entries to be one of the 10 one-act plays from new writers to be shown in various venues in Liverpool during September 2014 as part of the “Page To Stage” Festival. 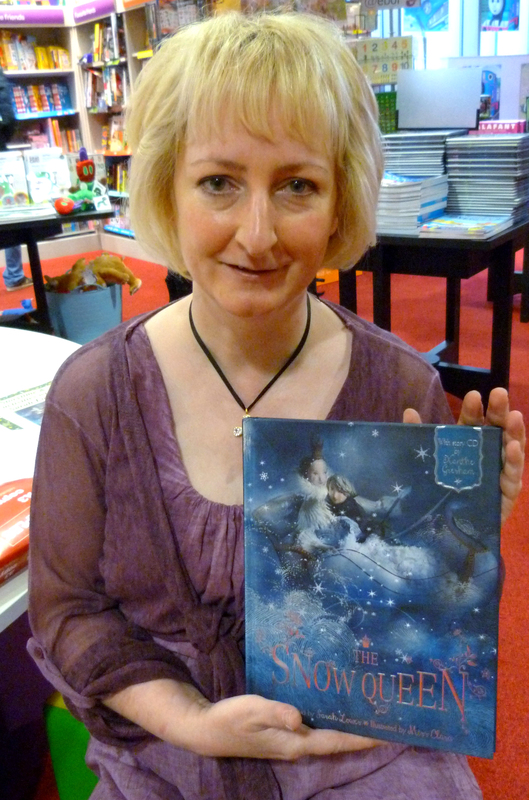 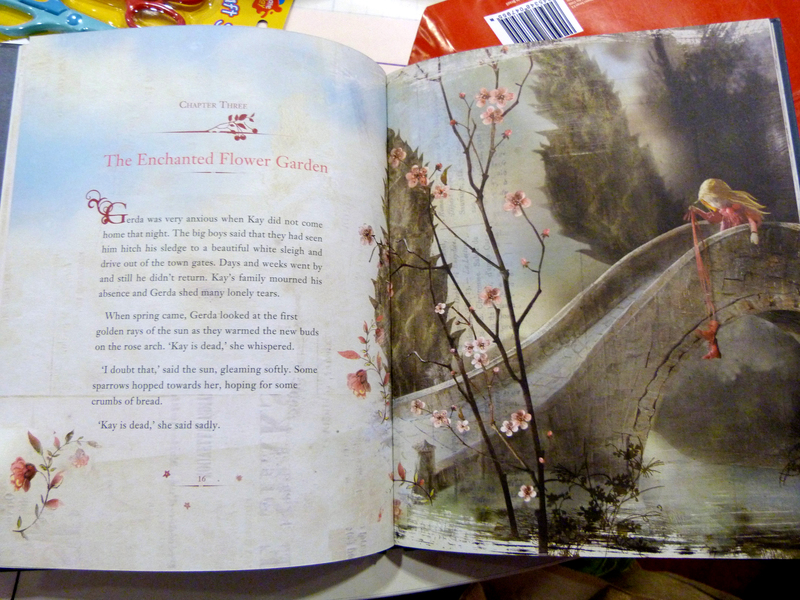 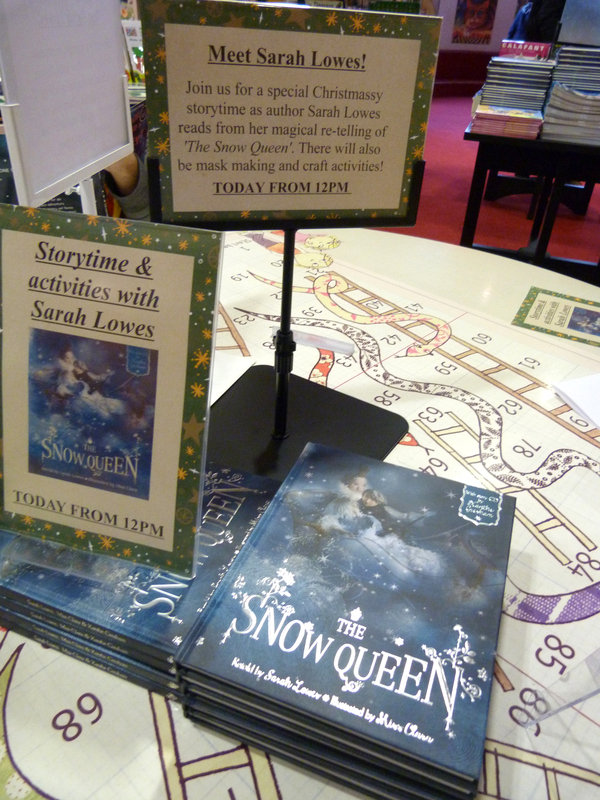 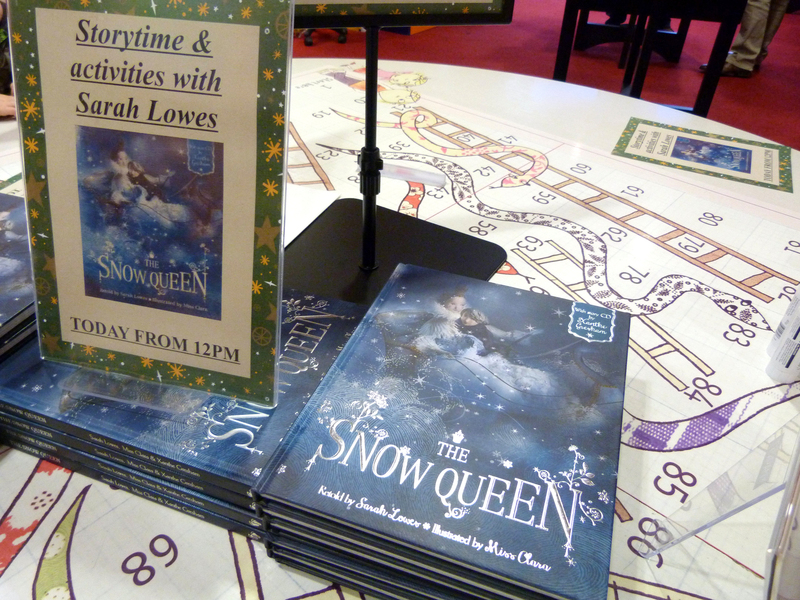 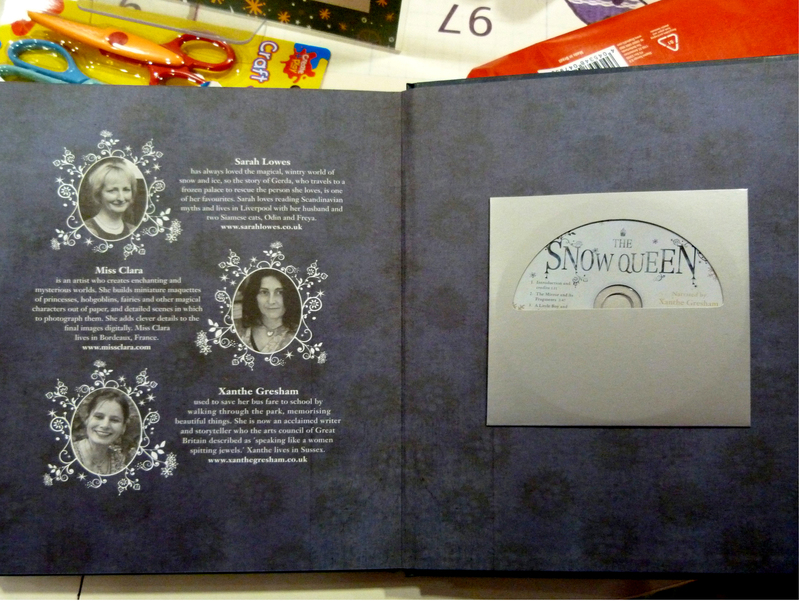 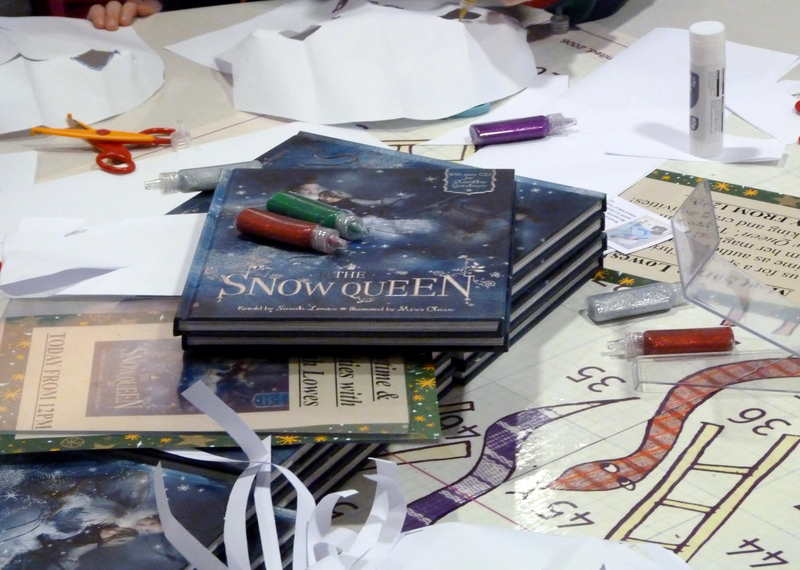 Sarah Lowes has rewritten the well-known children’s story “The Snow Queen” and has recently had it published. 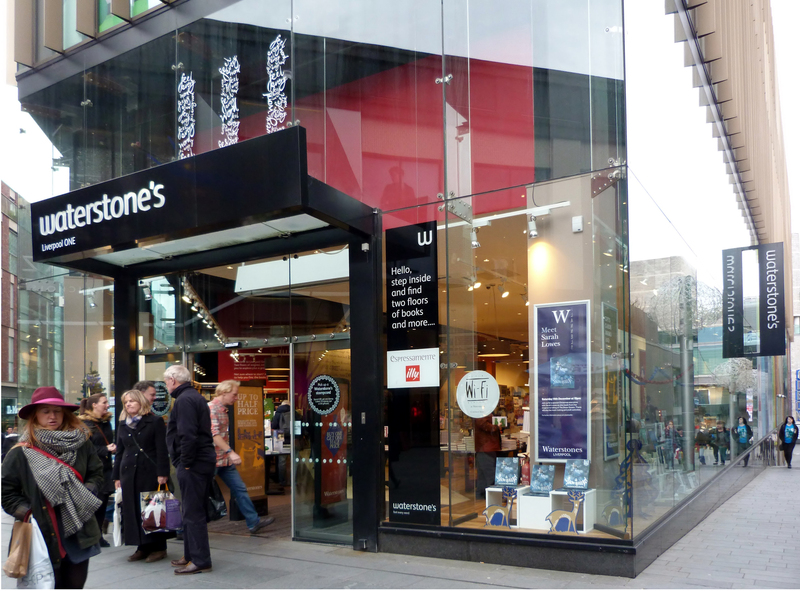 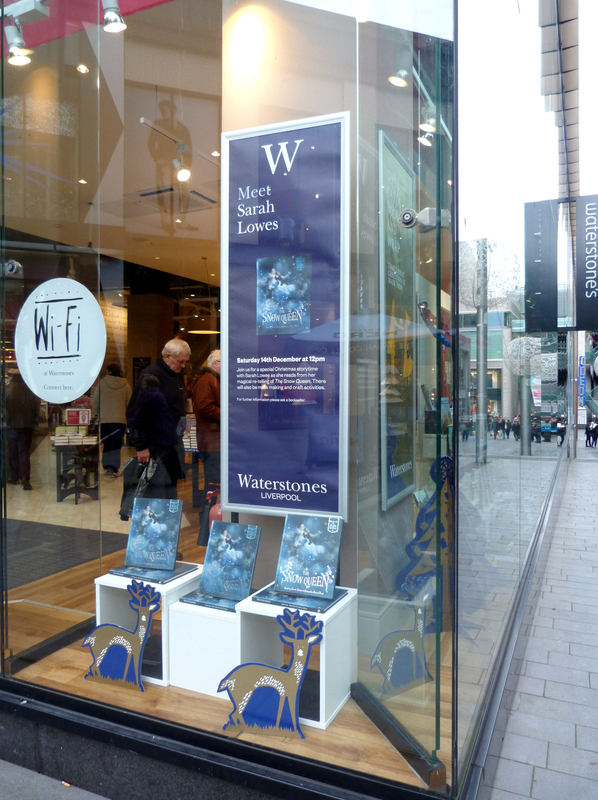 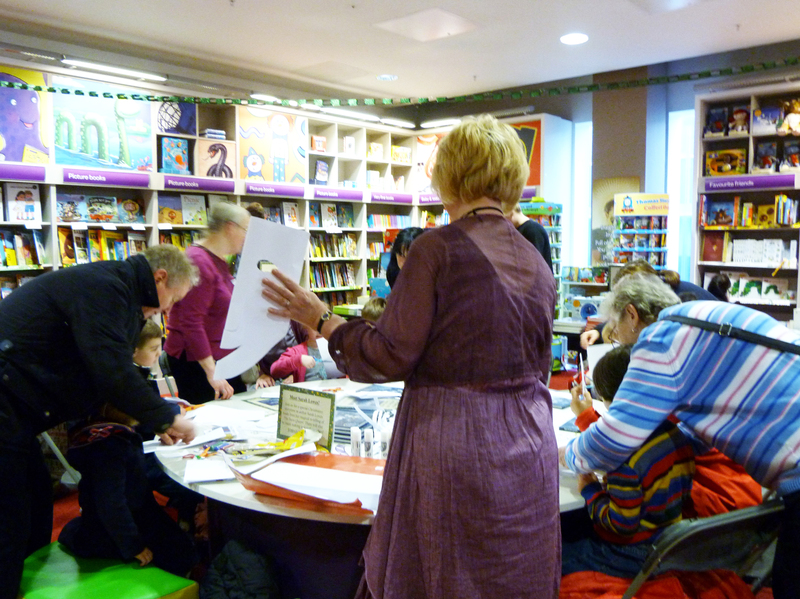 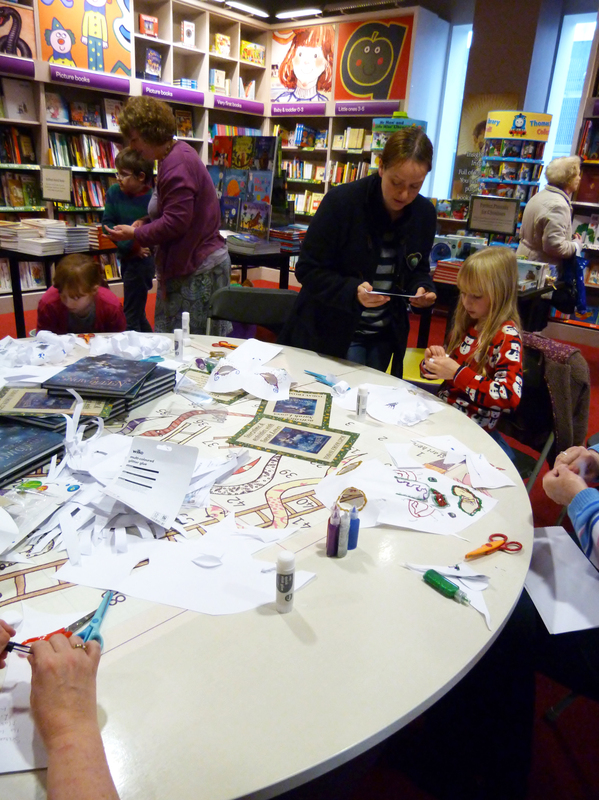 She had an exciting day on 14th December 2013 at Waterstones book shop in Liverpool One. 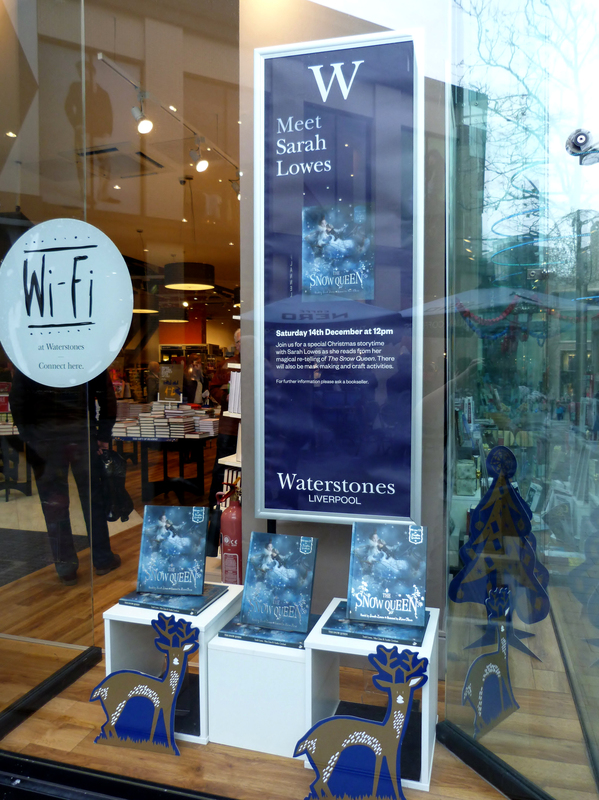 It was the day of her book launch. 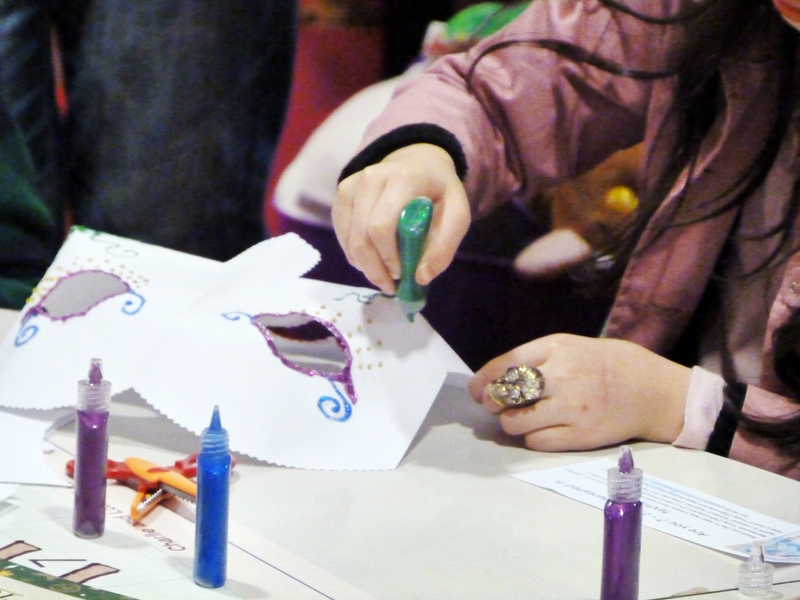 Sarah also led a mask-making Workshop and read a passage from her new book. 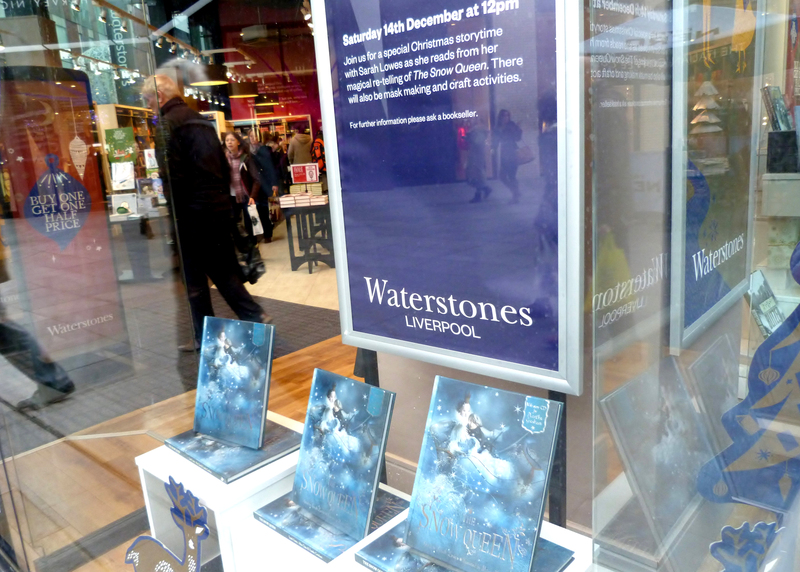 She also asked some of her friends from Merseyside E.G. 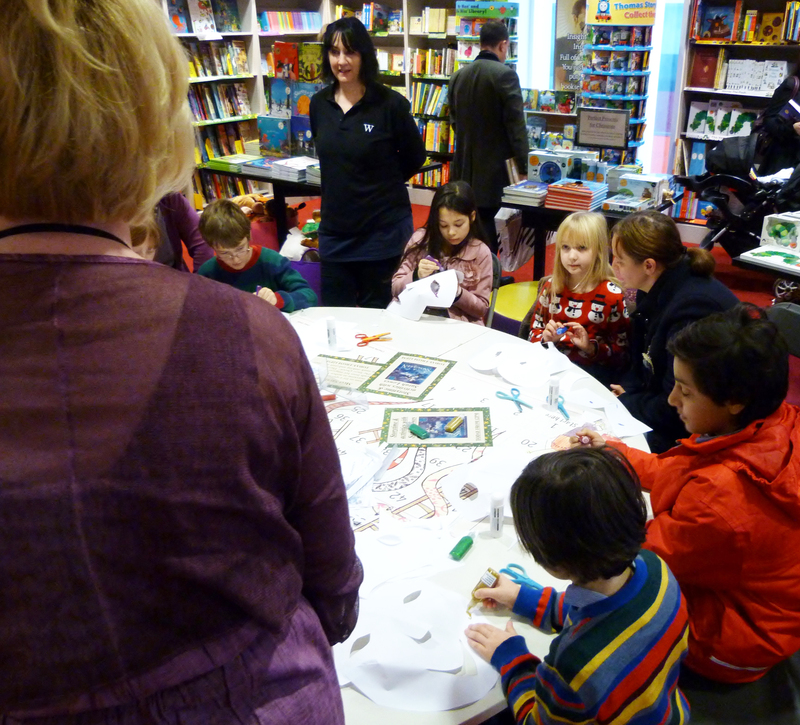 to come along and help. 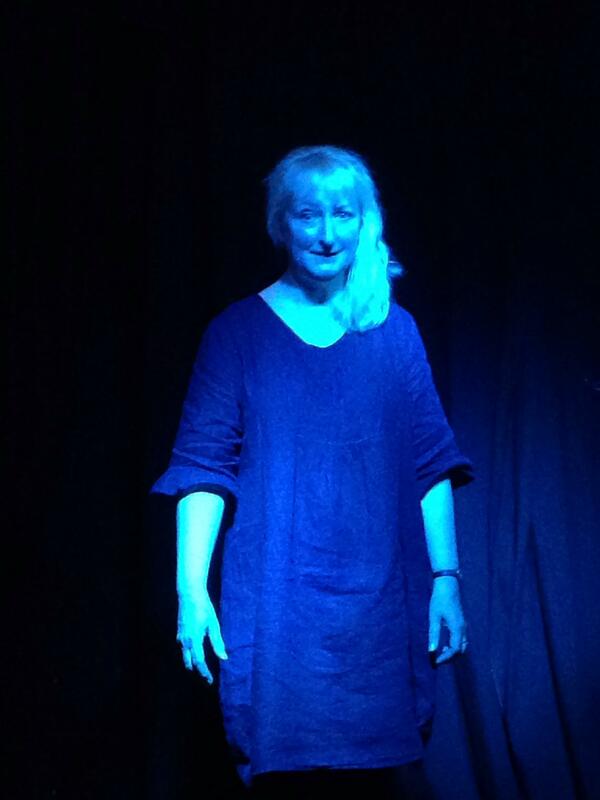 Have a look at how the day turned out below…..